The #MAKEUP Bag was inspired by the modern world of cosmetics and the beauty influencers behind it. The unique design truly stands out with its pops of color and interior bright yellow lining. 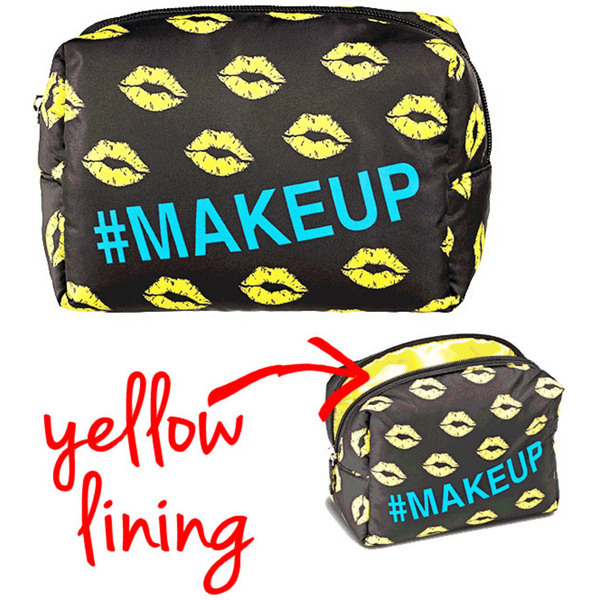 Crafted from delicate polyester and non-woven materials, the #MAKEUP Bag feels like a soft pillow to the touch. If you are a makeup fanatic, this is the bag for you. They are adorable!